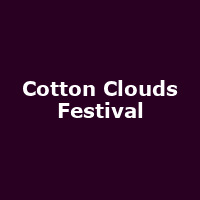 Cotton Clouds is a two-day festival set in the Peak District National Park. The 2019 line-up is to be announced. 2018 featured:Lightning Seeds, Sister Sledge, The Pigeon Detectives, Badly Drawn Boy, Chali 2na and Krafty Kuts, Cavana, Gareth Brooks, Starsailor, Toploader, The Orielles, Billy Bibby and the Wry Smiles, Trampolene, Salford Jets and many more.